Compare The Best UK Business VoIP Phone Systems For Your Business. VoIP providers enable you to use your phone system over your internet connection instead of using a traditional phone line, ISDN or PSTN. If your business is considering a voice over IP telephone system then read on, in this in depth UK VoIP provider comparison. Who are the leading business VoIP providers? 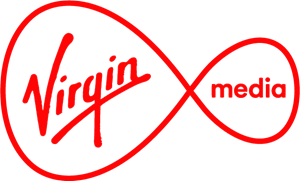 Virgin Media offer 2 types of cloud based VoIP system, "Enterprise Cloud Voice" for large businesses and "SME Cloud Voice" for small and medium sized customers.  online businesses Multi-site businesses IT and design, financial and professional services. IT and design, financial and professional services. All on-site features, including call directing, hunt groups, and reporting. Call waiting, hold, caller ID, blocking, pickup and transfer features. BT offer 3 types of voice over IP systems for businesses, "BT Cloud Phone", "BT Cloud Voice" and "BT One Phone". 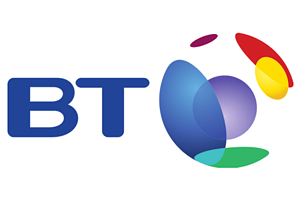 BT Cloud Phone is a hosted VoIP telephone system that supports up to 9 members of staff. BT Cloud Voice is a feature rich virtual phone system for 5 users and above. BT One Phone is a mobile handset based cloud VoIP system ideal for a business with no central business premises. The hosted VoIP telephone system for small businesses with up to 9 users. All the features of a traditional phone system but with all the flexibility, agility, and cost-savings you get from the cloud. The BT Cloud Phone service has several different price points: £13month/user, £18/month/user and £23/month/user. TalkTalk offer 2 different types of business VoIP solutions, "Hosted Voice" and "Mitel solutions". Hosted Voice is a phone system that offers calls, chat, conferencing and document sharing. Mitel is a phone system manufacturer and TalkTalk offer a dedicated Mitel solution to businesses that need a larger VoIP system with advanced bespoke features. "Hosted Voice is a VoIP, cloud based phone system that routes your calls through your Internet connection. It integrates with your office and mobile handsets bringing all of the features of a traditional phone system whilst offering savings with a low-cost pay monthly model and no installation fees." The Hosted Voice service has several different price points: £7/month/user, £9/month/user and £12/month/user. Amvia is a specialist VoIP provider trusted by small businesses as well as leading brands such as Oracle, eHarmony, Holiday Inn. Amvia has intimate knowledge of all business voice over IP phone system solutions and has expertise in matching the right service to your business needs. "After many weeks of searching for a provider for Broadband and VoIP we came across Amvia. ICE had been landed with a ridiculous deadline to find and setup a new office in Coventry for the 1st April. At this point ICE where under the impression that it would be impossible to open new premises at the other side of the country and start a service within a 2 week period, bear in mind we also have the Easter break to factor in. Amvia where true to their word. Understood all our requirements, managed and liaised with third-party provided, whiles provided ICE with all the Hardware and training needed. Which included, a newly fully functioning VoIP system, Telephones and live broadband (with a 4G fail-over SIM) all in time for the 3rd of April. Amvia provided ICE with a cost-effective solution with Excellent customer services and support. We found that Amvia where always there to help with any problems with minimal lost of service."